Bentall Dental is one of the many 123 Dentist member clinics that provide a warm welcome to all their patients. The first person you’ll meet during your dental appointment is the receptionist. They make things flow smoothly around the office, coordinate payments and appointments, and give you your notifications for when you’re supposed to come in next. We have a lot of love for the dental receptionists of the world. 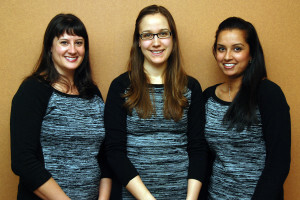 Our friendly hygienists at South Point Dental, a 123 Dentist member clinic. The next person you’ll meet after checking in for your dental appointment, and the person you’ll spend the most time with, is your dental hygienist, or perhaps a CDA. It can vary whether your appointment will involve a CDA or a hygienist, but there is a notable difference between the two. Hygienists are trained dental professionals who take care of routine dental care, such as regular cleanings, and assist dentists in other procedures. They are an integral part of any dental practice and make up a big part of the team that works to keep your oral health at its best. CDAs don’t do as much of the nitty gritty cleaning work that hygienists do, but they provide excellent help with the preparation work and with assisting dentists during procedures. You can think of both of these roles as the truly unsung heroes of a dental practice! such as new medications, diabetes, arthritis, pregnancy, etc. It is important that your dental care team knows about any health concerns, anxieties, or allergies you may have in order to avoid incident and to make sure you get the kind of care you need. A patient having their teeth cleaned at Willowbrook Park Dental, a member 123 Dentist clinic. Now that you have shared your health concerns, they can start working inside your mouth. The first thing they will do is give your teeth a thorough cleaning. They start by scraping off built up plaque and tartar that collects above and below the gum line before flossing between and around every tooth to remove any plaque or food particles that are clinging on. They will also give your teeth a smooth and shiny finish using a tooth polisher with a spinning head and slightly abrasive paste. The polishing will get rid of any residue that was previously missed and will make your teeth smoother so that plaque will not collect as easily on them between visits to the dentist. Dr. Shirzad from Harbour Centre Dental going through an xray with a patient. The last thing to do is take x-ray pictures of your mouth so the dentist can see if there are any issues below the mouth’s surface. This involves biting down on a piece of specially designed plastic while an x-ray imaging machine is placed against your cheek. The resulting image will show the visible parts of your teeth as well as the roots below the gum line and your jaw bones, allowing your dentist to see exactly what is happening in your mouth and assign your oral care as needed. We want to mention here that 123 Dentist only recommends digital x-rays, which emit up to 90% less radiation, allow for easy storage, and take less time than traditional machines – which means shorter, more convenient, and safer visits for you! The dental exam is different from the initial examination that your hygienist completed as this one is done by your dentist. They will use your dental x-rays to see if there is any loss of bone, fractures, or any other abnormality below your visible gum line before moving on to look for issues with jaw alignment, teeth grinding, and oral cancer. Dr. Ezzati at Olympic Village Dental is thorough in his dental exams for all patients. Once all of this is done, your dentist should have a full understanding of what your oral health needs are, and will be able to prescribe any necessary treatments to prevent or treat your issues. After the dental exam is complete, your dentist will let you know exactly what is going on in your mouth and will advise you about next steps. Sometimes this involves scheduling another dental appointment for a procedure while other times your dentist will give you advice about what you can do at home to better your oral health. It is extremely important that you listen to this advice and put it into action as best you can to ensure that your next checkup is the best it can be. The final step of the routine dental checkup is scheduling your next one for a date six months in the future. Scheduling your next appointment right away is the easiest and most effective way to ensure that you don’t forget to have your dental checkup regularly. 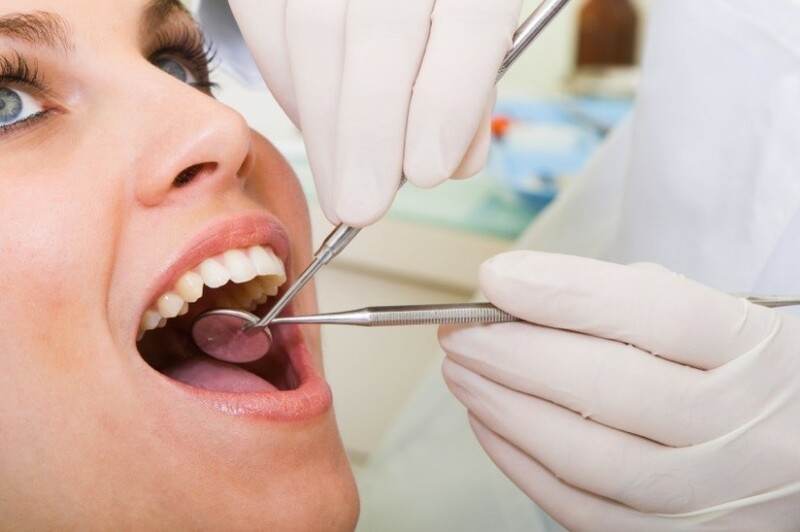 Even if you are diligent in your personal dental care, there is no better protection against oral issues than having your mouth professionally cleaned and monitored. 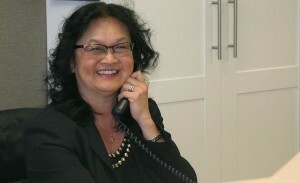 A friendly receptionist, like Cathy from Willowbrook Park Dental, will be happy to make your next appointment! Take a trip to the front desk and once again you’ll be helped out by a smiling and attentive receptionist. And, as always, if you have any questions or concerns about any part of your visit or your upcoming scheduled visits, make sure to let them know. Trust us, they don’t bite. We’re very strict about that sort of thing. To find a dentist near you that best suits your needs, check out 123Dentist.com and schedule your next checkup today!